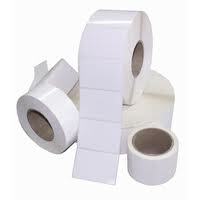 A UK Leading Suppliers of Thermal Transfer Labels! One of the UK’s Leading Suppliers of Thermal Transfer Labels! Our standard range of thermal transfer label materials paper and synthetic materials suitable for thermal transfer printing. Permanent adhesive provides good adhesion to all normal surfaces, including films and cardboard. Peelable adhesive provides good adhesion to all applications that require the label to be removed (peelable).